TJ’s Hispanic and Latino club makes great strides in supporting the community. 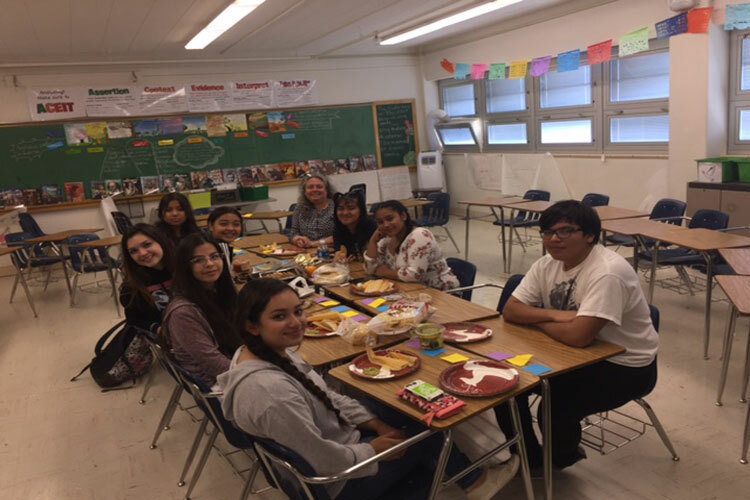 The Hispanic and Latino club, which meets every Wednesday at lunch in room 218, has been focusing on raising money and awareness for many of the immigrants and families either in the TJ community or locally through contact via social media or news broadcasts. “The club supports the students at TJ, who are an integral part of our school and community,” explained Principal Mike Christoff. To support those in need and raise money for the club, students host fundraisers such as their weekly nacho sale. Many of these people who are struggling live in churches and schools, but with the help of the club they are hoping to improve their living conditions in attempts to give them an easier life. Most members of the club are of Hispanic or Latino origin, however anyone is allowed to join and contribute. The club is sponsored by English teacher Lynne Valencia-Hernandez, a Mexican-American who has been affected by recent politics and wants to support the students in any way she can. “I want them to have a place where they can come and talk to other students that they can relate to while being able to express their own voice in a comfortable setting,” expressed Valencia. The club has been holding a nacho fundraiser, where they sell tubs of nachos for three dollars every Thursday after school. Yelli Franco, junior and Club President, has put in a lot of effort in organizing fundraisers and making sure that all of the families get all the supplies that they need. “I want to make sure that everyone gets everything that they need and are taken care of, the past couple of months have been rough for everyone including me and helping in anyway that I can is something that I strive for,” said Franco. The Hispanic and Latino Club is planning to continue their fundraising, meetings, and support systems for the community next year.